Scouting trip finds. Definitely squirrels. 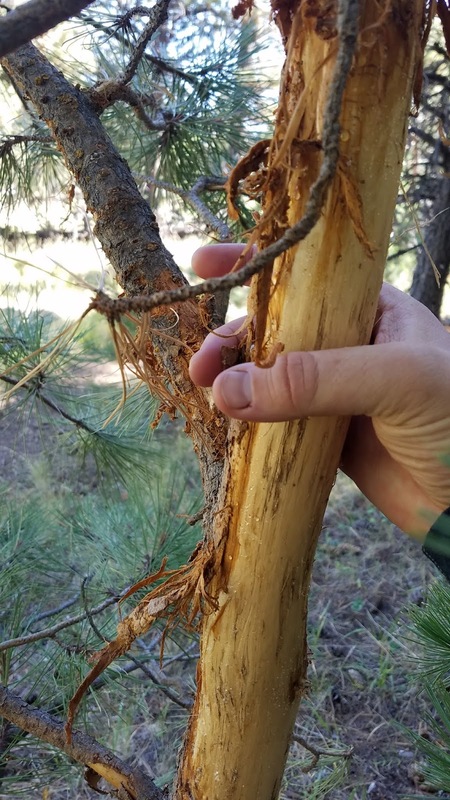 Despite being a rookie elk hunter, one thing I knew for sure was that Western-style spot-and-stalk hunts will require intimate knowledge of the land and the fitness to cover it. My immediate goal was to identify an area within the hunt unit to focus on, because despite getting drawn in a comparatively tiny hunt unit there's still a LOT of area available. Luckily, with the Internet, and especially resources like Google Earth, one can do a ton of scouting from the comfort and distance of the living room couch. Combine Google Earth with a serious map provider provider like Garmin or Gaia GPS (both of which have hunt maps), and you can really hone in on some great hunting and glassing spots then send those points to your GPS device. I started off with basics like figuring out what areas are easily accessible by car, which areas are more likely to have recreational users--a huge concern for me since my hunt will coincide with the aspens in full fall color, and checking topo lines to find places to camp. I went ahead and plotted routes along major hiking trails so that I could see them easily on my Garmin Inreach and avoid those areas. I also plotted along the 11,400' elevation line because it is illegal to hike off trail or camp above that point in the Peaks...that'll avoid guesswork and the chance of fines (or worse) by accidentally crossing into prohibited space. Here is some more advice on scouting with maps. If you don't spring for a map provider like Garmin or Gaia, at least make sure you get a basic sense of boundaries from AZGFD's unit maps. Also, get an idea of how busy your hunt unit might be by checking the AZGFD hunting regulations for your animal to see how many tags are issued for your hunt (2018 elk and antelope here). Once you've used maps to narrow down your hunt area, no matter how much intel you can get with them, nothing substitutes from putting boots on the ground to confirm what you've learned and get a first-hand sense of scale. This'll also help get you fit for the physically demanding days in the field lugging around a loaded gun (or bow), optics, water, food, and more if you're backpacking. Once you're on the ground you'll get a sense of whether the vegetation is conducive to getting a clean shot, how close you are to populated areas, and whether the area you've chosen to camp is covered with large pointy rocks. As you're scouting, keep in mind where the animals are feeding, sleeping, and traveling. Will non-hunters pressure them to or away from you? Where will you find water, where will animals find water? If you want an extra boost, talk to Fish and Game officials or employees of local hunting stores for tips. First, obviously, get into the woods. You'll multiply your chances of success if you visit your hunt area in advance. If you are able to put up trail cameras, that'll help, but of course you'll benefit from finding good places for them in the first place. Second, stay in the woods. Being out in the environment of your game animal will get you in tune with what's "normal" and what's an animal sign. After enough time, you'll get a sense for which tall grass is leaning over because of wind and which is because an animal walked through; you'll learn to distinguish between a rotting tree and a horned tree; maybe you'll even be able to start recognizing where fallen leaves have been disturbed from activity. Third, document what you see and where you go. Once you're off trail it's easy to find a goldmine of activity that you never find again because you're not looking at the exact right angle. It's incredibly easy to do. 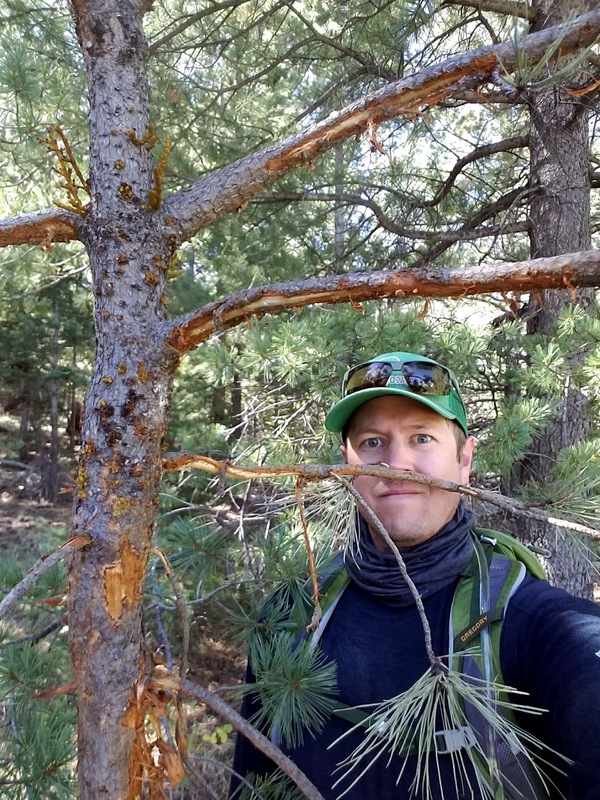 So, use your smart phone to take pictures, with location enabled so months later you can pinpoint that patch of horned trees you found in the spring; use your Garmin Fenix or the Gaia GPS app to track your route so you can retrace your steps along a game trail or to your glassing location. Forth, use your scouting trips to test your gear and get used to carrying it. You definitely don't want to learn your backpack is uncomfortable on the first day of your hunt. Fifth, if you start scouting early in the season, remember that everything you observe will be in a constant state of flux as the hunting season draws near. The water source you find in April might be gone in July, and where the animals are eating in July might be different than in October. But you still can and should use these early season opportunities to learn the terrain and get an idea of where food sources are in the first place. Sixth, even if things like food and water change, I have found that travel routes remain fairly constant. Certainly some routes might be used more heavily at one time of year than another, but if you find an established game trail you can probably bet it'll be used constantly. For example, one of the most productive deer stands on the farm back in Virginia sits in a saddle giving access to a hay field...every single year for the past 20 years I've hunted there, deer have crossed in the exact same area. Seventh, once you're familiar with your terrain and its resources, start to pinpoint what game will go for in the area. One unit's bedding might be downed trees while another might be brambles; one's food source might be a cornfield and another's acorns. You'll have to use the knowledge you gain while scouting to adapt the hunt to your unit's strengths and weaknesses. Eighth, no matter what, enjoy your time outside and appreciate nature. As a hunter, you're becoming a part of nature in ways that the majority of people never will--as a true, acting, apex predator. Enjoy that experience, even if you walk away empty handed. Respect the animals, respect the woods. We're all counting on each other to preserve and protect the sport we love and the animals we appreciate. And since I don't have any elk-specific advice, here are some tips from Outdoor Life on scouting for elk.